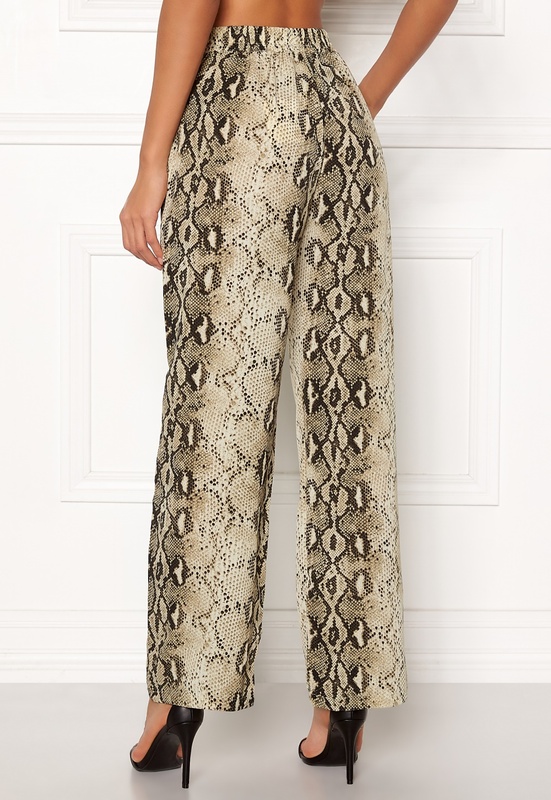 Lovely pants with a relaxed fit from VILA. 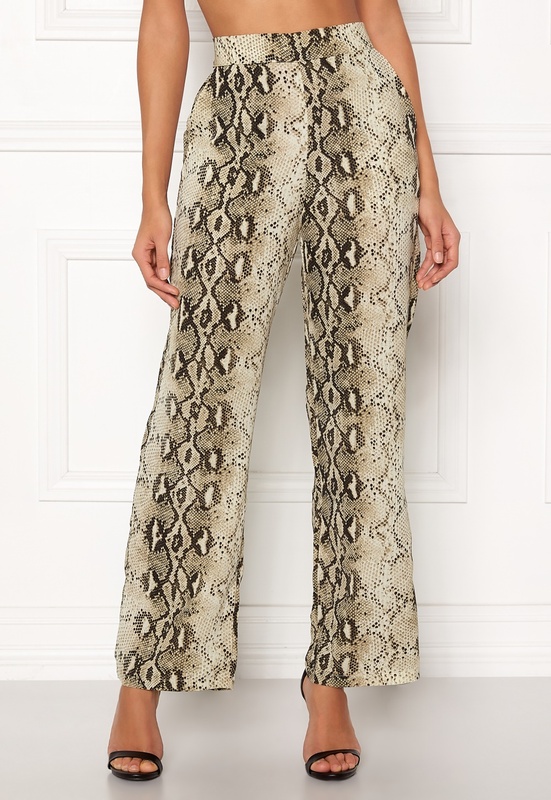 The pants have an elegant leopard print and are the perfect choice for both everyday and party wear. - Nonstretch, woven quality - Elastic at back waist - Two front pockets - Straight, wide legs - Slightly see-through fabric Inside leg 75 cm, front rise 30 cm, waist 68 cm in size 36. The model is 176 cm tall and wears a size 36. Machine wash at 30 degrees (delicate wash). The pants can be worn as a set together with the Amella L/S Shirt.